General Overseer of the Redeemed Christian Church of God, RCCG, Pastor Enoch A. Adeboye has warned that there might be no Nigeria in 2019, not to talk about a general election. The cleric was quoted as saying on Friday, at the May 2018 Holy Ghost service that there was no way he could continue to keep quiet while the killings, which had been counted in thousands this year alone, went on. It came against the backdrop of the recent killings of two Catholic Church priest in Benue State, a fortnight ago and several attacks on churches, which prompted US President, Donald Trump to vow before President Muhammadu Buhari in Washington that he would do something, very quickly to end the killing of Christians in Nigeria. 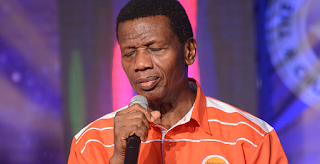 Adeboye, speaking on the theme, ‘Stronger Than Your Enemies – 5 (Habitation of the Almighty)’ said: “There is no father that will lose 19 children in a day and be quiet. It doesn’t matter the denominations. All Christians in Nigeria call me daddy, so when anyone of them dies it’s my son that is dead.